A rehabilitation program is designed to assist an individual who has sustained some type of injury in reaching maximum medical improvement. The goal of Vocational Rehabilitation (VR) is to help an injured/disabled individual return to work. In the event that an individual is injured at work and is unable to return to his or her original position, Vocational Rehabilitation services (through workers’ compensation) help the employee reach maximum capability levels in daily life as well as in the work environment. What Kind of Vocational Rehabilitation Benefits Are Available? The New York Workers’ Compensation Board offers a variety of rehabilitation services. Initially, a staff member will request a meeting with the injured employee to determine which services will provide the individual with the support he or she needs. Besides offering assistance geared towards rejoining the workforce, social workers are available to help employees as they cope with the changes in their lives due to the injuries/disability they sustained. related to requesting job accommodations for his or her disability. services designed specifically for those with disabilities. New York workers who participate in VR programs will continue receiving their cash benefits. Also, if an employee’s wages decrease due to a work-related disability, he or she may be eligible to receive a ‘reduced earnings’ benefit. What Happens If I Have a Partial Disability and I Cannot Return to My Previous Position? Even when an employee is unable to return to their previous position, prior to seeking employment elsewhere, workers should return to their original place of employment because their current employer may have a modified position that needs to be filled. However, when this modified position is used as a means to slowly transition back to work, on average, the employer would like this transitional period to last no more than 90 days. In the event that the employee has sustained a permanent disability that will not permit a return to his or her usual position, and the current employer does not have a position available that would meet the worker’s needs, the employee is expected to begin looking for employment elsewhere. What Is a ‘Good Faith Effort’? If a worker has a partial disability and the employer does not have a suitable position available, the employee is expected to make a ‘good faith effort’ to find a position elsewhere. When a suitable job offer is made, the worker is expected to accept the position. Do Workers’ Compensation Claimants Have to Participate in Vocational Rehabilitation? Typically, VR is optional. However, if a claimant receives a ‘Schedule Loss of Use Award’ (SLU) that totals 50 percent or greater he or she is required to participate in the Vocational Rehabilitation program. A Schedule Loss of Use Award is a cash payment provided to employees who have sustained injuries that resulted in some form of permanent disability. The length of time the SLU payments are received following a work injury is determined by the part of the body that is permanently injured as well as by the percentage of movement that part of the body has lost. SLU payments are available to employees who have already returned to work as well as to those who have never missed a day of work despite their injuries. How Long Do Vocational Rehabilitation Benefits Last? When it comes to the SLU, the body part and extent of damage determines the length of time that workers’ compensation payments are received. New York law allows an employee with a permanent leg injury to collect payment for 288 weeks; however, the number of weeks an employee can collect is determined by the percentage of use he or she has lost. If the employee has a loss-of-use amount totaling 50 percent, he or she is entitled to receive payment for half of the number of weeks allowed; therefore, he or she can receive 144 weeks of payments. The weekly payment received is two-thirds of the employee’s average weekly pay (which is the workers’ compensation rate). The current weekly maximum allowed by workers’ compensation is $904.74. Therefore, if the employee earns $1,000 a week, he or she will receive approximately $667 a week. So, $667 will be paid to the employee for a total of 144 weeks. Once payment has been received for the entire 144 weeks, the employee will have received $96,048. If you or someone you care about in New York has sustained an injury at work and would like to learn more about workers’ compensation benefits, including what vocational rehabilitation will pay for, contact the law firm of Paul Giannetti today. As an experienced workers’ compensation attorney, Paul Giannetti can represent you and help reduce the stress associated with sustaining a work-related injury. 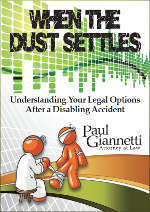 To schedule a free consultation, contact Paul Giannetti Attorney At Law.